We love to photograph baby's tiny toes as part of their newborn photography session. 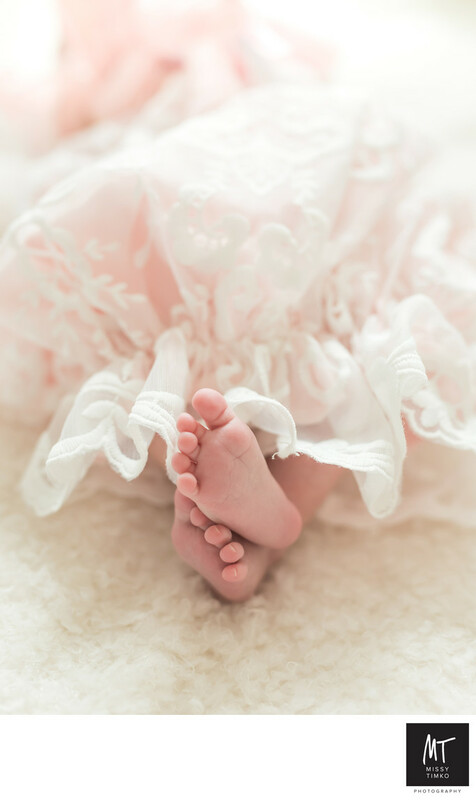 In this portrait we captured this newborn baby girl's teeny tiny newborn toes, crossed at the ankles, poking out from behind some delicate, soft pink, lace ruffles. We held this newborn portrait photo session in our custom studio in Mount Lebanon.